Pupils and teachers at Caterham are continually involved in charity fundraising. A charity committee consisting of Sixth Formers takes the lead supported by staff and younger pupils. The purpose of the committee is to formalise and extend the variety of charity events that we organise (e.g. non-uniform days, Talent Show, Macmillan Coffee Morning). Our pupils come from all over the world, many from privileged backgrounds, and we believe that it is right for them to have an understanding of, and compassion for, those less fortunate than themselves. Importantly we think it will benefit them to have made a contribution, at whatever level, to help improve the lives of others. It is part of our philosophy of trying to ensure that each pupil leaves us as a well-rounded individual who has, to the best of our ability, received an education that will help to prepare them for their future lives. Fundraising events are often the perfect opportunity for our pupils to take control and develop their personal qualities. Leadership, creativity, teamwork, working to deadlines are all important ingredients for successful fundraising events. The focus of our fundraising 2018/19 is to support our overseas partnerships in Tanzania with ‘Lerang’ wa lunches’ and our chosen charity DKMS – deleting blood cancer . The school community got behind many charity events including the Macmillan Coffee morning organised by the Charity Committee and the Poppy Day appeal manned by the CCF with the addition of a Silent Soldier to commemorate the 100-year anniversary of Armistice Day. 2RO continued with their sponsorship of a child in Tanzania through World Vision, and the Boarders of Beechanger decided to sponsor the education of a young girl at the Altevette School in Upper Mustang, Nepal. The Sports Department organised an ‘odd socks’ day and raised £500 for the Wooden Spoon Charity. The Charity Committee nominated the Shooting Star Chase as our school charity. The Children’s Hospice has always been close to our school community and we have hosted their sponsored Santa’s Run for several years. The whole school got behind the cause after inspirational assemblies from Shooting Star outlining their amazing work, for the first time the charity logo appeared on the 1st XV rugby shirts. The Charity Committee were determined to reach new heights with fundraising and records were set with £3,200 being made at the Talent Show, and the 1st and 2nd years making £1,555 at their Christmas Fair. The music department also made sizeable contributions with collections at major concerts. The Committee was please to hand over £6,213 to Shooting Star Chase at the end of the year. School fundraising also supported Lerang’ wa Lunches and our ongoing commitment to our partner school in Tanzania. This 12-year relationship has seen us funding infrastructure improvements at the school, and more recently supporting the diets within the vulnerable, largely Masai community. This year the ‘Tanzania Team’ comprising the expedition members raised over £4,000 directly for this and so the school community was able to donate £6,000 in total. We provided meals for every pupil every school day, and each child with a bowl and a cup for hygienic eating. This continues to maintain and improve levels of enrolment, attendance and educational attainment. Alongside this, the library raised £368 for the RAF Benevolent fund, £111 to Mind by the Art Department, £405 to the Yellowmen following MADlive, £202 from the boarders carol singing and the boarders sent off 25 Christmas shoeboxes via Samaritan’s Purse UK. The Morocco team raised just over £300, most notably through an ambitious five a side tournament, to buy materials to improve the community education centre in Ikhf n lghir, in the Bougumez Valley, where they taught in the summer. Total funds raised by the student body amounted to over £15,000. Additionally Caterham students were instrumental in assisting the Rotary club collect over £4000 in their Christmas collection. A wide array of fundraising activities took place, from the MacMillan Coffee Morning, to the Poppy appeal. 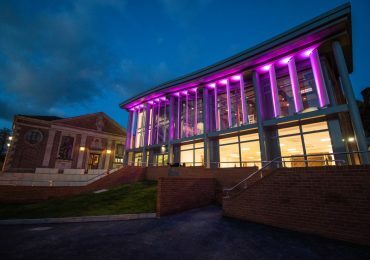 The U6 Charity Committee and the Lerang’ wa team were particularly active with events including the Charity Talent Show and an innovative Wine Tasting evening. Charity Reps from each form group helped collect funds through our mufti days. There were too many events to mention individually, but special mention must go to the 4th Year who collectively ran a marathon for the Brain Tumour Charity and 1RO who took it upon themselves to sponsor a child in Tanzania through World Vision. The Charity Committee decided to focus their attention on Delight as a local charity this year. Delight is a charity dedicated to using books and immersive arts to improve engagement and learning. They work in partnership with Surrey Primary Schools where their work will have the greatest impact. Many of our students volunteered for Delight, meeting weekly to plan events and organise resources. Last year Delight rehomed over 8,000 books, and delivered carefully constructed programmes in collaboration with the Guildford Shakespeare Company and the Watts Gallery. School fundraising also supported Lerang’ wa Lunches and our ongoing commitment to our partner school in Tanzania. This 11-year relationship has seen us funding infrastructure improvements at the school, and more recently supporting the diets within the vulnerable, largely Masai community. Last year we were able to provide meals for every pupil every school day, and enhance the food storage facilities at the school. This has led to measurable improvements in enrolment, attendance rates and educational attainment. The school community responded to events with considerable donations made to Red Cross and Save the Children Syria appeals, and a collection being made for the Victims of the Grenfell Fire. Significant donations were made for charities with direct links to the school community including the Royal Brompton, The Brain Tumour Charity and the Starlight Foundation. Collections were also made focussing on raising awareness for Mind, The Breck Foundation and Daniel Spargo. The Borders Carol Singing in Caterham raised funds for St Catherine’s hospice. A contribution was made towards the ‘Purple Maze’ (Rotary against Polio) in Queen’s Park. The second year conducted an Easter Egg Appeal for children in paediatric wards, centred on the Royal Marsden. Total funds raised by the student body amounted to over £20,000. Additionally Caterham students were instrumental in assisting the Rotary club collect over £4000 in their Christmas collection, as reported by our pupils in their BBC report. The Upper Sixth Charity Committee were assisted during this year by a ‘charity rep’ from each form group to help with the administration of mufti days and other fundraising events. In 2015/16 we supported the MS therapy Centre in Coulsdon, and were able to donate £8000, the equivalent of one month ‘one to one’ physio-therapy for all 162 members of the centre. The MS centre is funded solely through donations. Funds raised are also allocated to our longer term partnerships overseas: Casa Xalteva Educational Shelter in Nicaragua, Lerang’wa Primary School in Tanzania and the Betania Housing Project in Romania. Funds raised at Caterham School have been used to provide a meal for every pupil at Lerang’wa School on every school day, and basic medicines for those pupils without parents. This has led to a remarkable improvement in attendance and focus at the school, and so to improved educational outcomes. Special donations were also made in response to short term need. This year donations were made to the Save the Children – Syria Appeal and to provide Christmas boxes for children at Morton Academy in Carlisle who were flooded out of their homes and school. 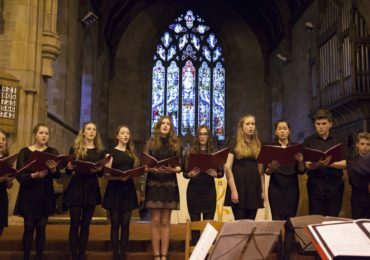 The main fundraising events include the mufti days carried out each term, the lower school Christmas Fayre, and the Charity Talent show in January, which is entirely organised by the students on the Charity Committee. There have been a large number of fundraising events this year, including the Tanzania team’s spectacular race night, car washes, refreshment sales at school events and Miss Cox’s charity trip to Thorpe Park. Performers at the Charity Talent Show. We are very keen to include and involve all the relevant partners of the Caterham School community with the venture. The intention is to raise awareness amongst pupils, parents, teachers, non-tutorial staff, Old Caterhamians’ and members of the United Reformed Church – in the hope that support and contributions can come from all these groups. If you are able to help with any fund-raising events OR if you can think of any good, new fund-raising ideas then please get in touch. Equally, get in touch if you have any relevant contacts for Sixth Form community project links – we are currently trying to widen our local contacts. If you are able to help or support us in anyway, we would love to hear from you.